Presentation and Management of Malakoplakia of Tibia. Department of Orthopaedics, ESIPGIMSR and MGM Hospital, Parel, Mumbai-12. India. Introduction: Malakoplakia is chronic granulomatous disorder resulting from an abnormal immunological response resulting in accumulation of histiocytes .It normally involves the urinary bladder, colon, skin etc. But bone is rarely involved. Only seven cases have been reported in the literature. 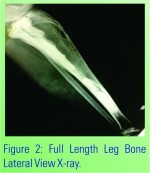 Ours is the first case involving the tibia. 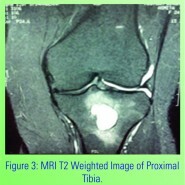 Case Report: We report a rare case of malakoplakia of bone of upper end tibia in a 24 year old female with 1 month complaints of pain in the knee. Conclusion: The importance of this case report lies in the fact that malakoplakia can mimic benign lytic lesion and we need not be over aggressive while treating these patients. These can be treated with course of antibiotics . 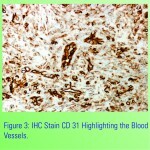 Keywords: Malakoplakia, lytic lesion, histiocytes.